The NSW Farmers' Goat Industry Committee would like to invite you to attend the Biennial Goat Industry Conference on Thursday 28 March 2019 at the Demo Club in Broken Hill. 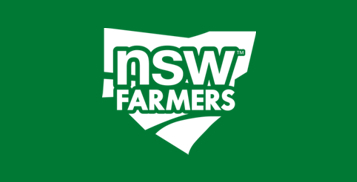 The Association is encouraging all goat producers to attend, along with any NSW Farmers members from the NSW Far West region which includes the branches of Cobar, Wilcannia, Broken Hill, Ivanhoe and White Cliffs. The conference will open at 8:30AM and run until 2:30PM, the full program will be released closer to the date. It promises to be a productive day with James Jackson, NSW Farmers President and Peter Arkle CEO attending and guest speakers from key industry and government personnel. NSW Farmers staff members from the rural affairs portfolio will also be in attendance to answer questions relating to drought. A dinner will be held prior to the conference on Wednesday 27 March and will provide members a great opportunity to meet fellow members and Association staff. The location will be advised shortly. If you have any questions please contact Stephen Bignell on 02 9478 1076.